VNC Connect is the latest version (6+) of our cross-platform remote access software for personal and commercial use. It utilizes VNC technology to connect you to a remote computer anywhere in the world, watch its screen in real-time, and take control. Our founders are the original inventors of VNC, and twenty five years’ experience has gone into our award-winning software. VNC Connect is designed to replace multiple products or modules from other providers with one solution that’s easy to integrate, license, manage and secure. 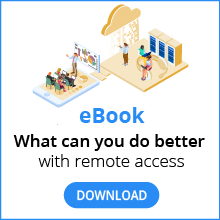 This means it’s simpler to roll out to your entire organization, extending the benefits of remote access beyond the IT team.